You know I'm really jonesing for exercise when you find me shoveling snow in 25 degree weather, and 45 mph winds. Does shoveling for 75 minutes make up for 2 slices of cake with pink frosting and heart shaped sprinkles? 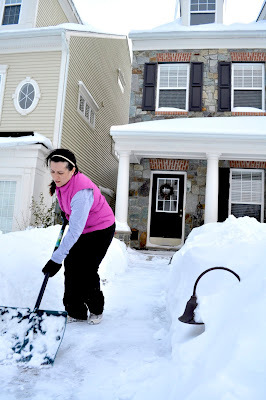 I truly enjoyed watching you work that big snow shovel. Good job lady!